Going back to school is usually a time of renewal, optimism and fresh starts – a new class, teachers, students and subjects to get to know. 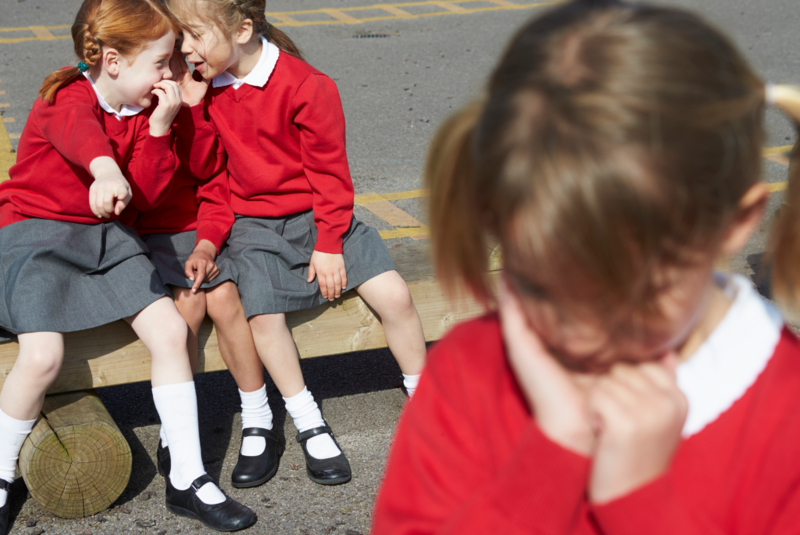 But for some it can also quickly develop into a difficult and upsetting time if bullying and anxiety becomes part of the daily mix – so how do you help your child deal with them? Bullying has probably changed since you were at school when perhaps it was known under an umbrella term such as being “picked on”. In 2019, it comes in various forms including: physical aggression, verbal taunting and cyberbullying. It is a complex issue that requires understanding, patience and insight. As parents it will be reassuring to know that a UK study found that having warm supportive family relationships also helps buffer children against the adverse emotional consequences of being bullied. This means that when children feel supported by their parents, they are less likely to attract bullying. A way parents can help their child guard against bullying is to coach them in social skills and to actively support their child’s friendships by organising play dates and other events as research has found that having good friends at school helps protect your child. However, if your child is being bullied, it is likely that they will be feeling anxious, though they may initially try and cover up what’s happening and how they feel. You may soon notice mood swings, being withdrawn, changes in their eating habits, sleeping poorly or being easily upset. They could also start to make excuses about going to school or even refuse to get out of bed. If you haven’t already, you may want to find an appropriate moment to raise the topic with your child. You could try to find something on the news, YouTube, or social media about bullying and broach the subject that way. You could ask your child if they’d ever witnessed bullying or if they’d ever experienced it themselves. You could also talk to your child about any experiences you or another family member had at that age. An important element in these conversations is to listen to your child, stay calm, summarise the bullying event if there was one, tell them it’s normal to feel upset and that it is not their fault that they have been bullied. Remember, too, to express how pleased you are that they have raised the subject with you and that steps will be taken to help your child. Experts say getting in touch with the bully or the bully’s parents is unlikely to solve the problem and it may even escalate things. Work with the school rather than try to solve the issue on your own. It can happen that despite your best efforts as parents to help your child (and asking for help from the school), the bullying does not stop. This is not acceptable for any child. You may then have to weigh up your options such as going to a higher educational authority, contacting the police or considering whether it would be best to move your child to another school – but talk to your son or daughter at every step of the way.